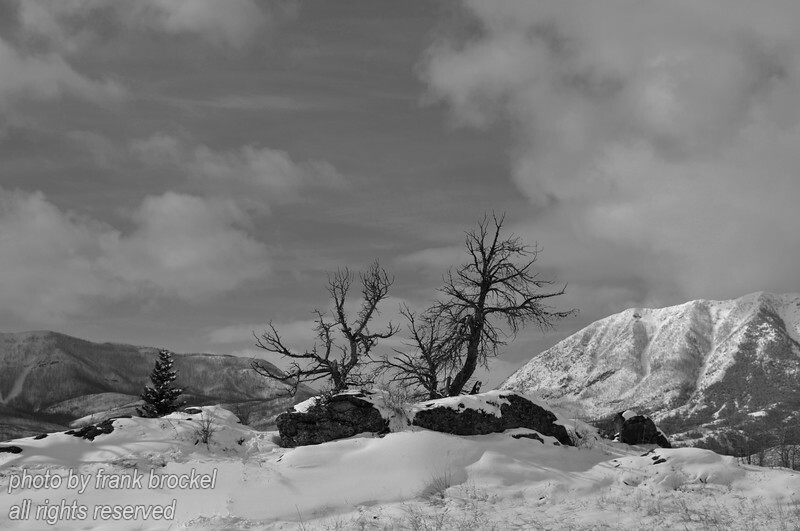 A snowy landscape in the Crowsnest Pass, Alberta. In the background on the right is Turtle Mountain, scene of a massive landslide in the early hours of April 29, 1903, that the Frank Slide—the deadliest rock slide in Canadian history—claimed the lives of 90 Albertans. This photo would look good on a website - for info how to purchase this photo contact us here: http://canadaweb.net.